HMH Books for Young Readers, 9780544320239, 144pp. * "A terrific, engrossing resource." "This eye-opening book on the science and politics of agriculture serves as a wake-up call to readers about the fragility of something many of us take for granted: our plant-based food supply. 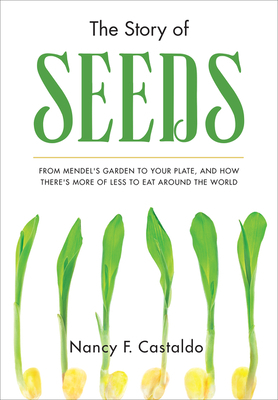 Castaldo clearly lays out a case for the importance of plant diversity (“Seeds equal life”), presenting engaging scientific and historical information..."
"An impassioned call to action..."
"Castaldo delivers a sobering global status report—and a call to action...Well-crafted and inspiring." "Castaldo breaks down threats like climate change and disease, while providing a greater sense of interconnectivity in nature and within world communities."